India that was in the top 10 countries overall last year slipped two spots to be ranked 12th. If you have been planning to move abroad in search of a more comfortable life and better-paid job, then there's a survey to help you in your decision. HSBC's annual Expat Explorer survey reveals which country will pay you in heaps if you relocate there and which one will provide the best quality of life. Singapore, the overall winner offers the whole package - great pay, great living, and wellbeing of children. 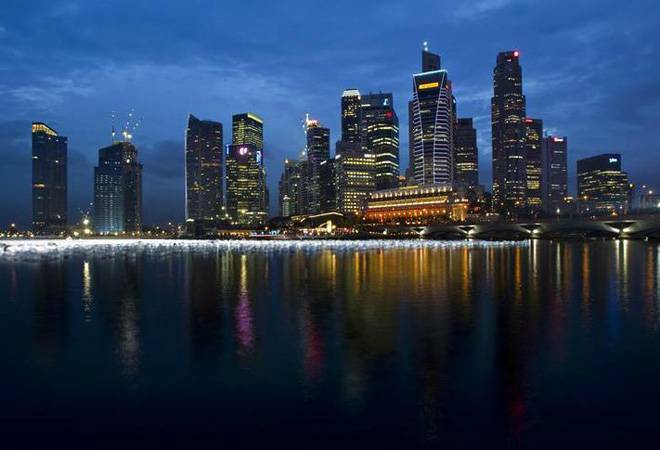 Singapore topped the rankings for the fourth year in a row, overtaking New Zealand, Germany and Canada. "Singapore packs everything a budding expat could want into one of the world's smallest territories," HSBC said. If you are looking for a big pay raise, then it must be noted that moving abroad boosts the average worker's income by $21,000. The survey also mentioned that 45% of expats said that their existing job paid more internationally. Additionally, 28 per cent respondents changed their location for a promotion. The best of these deals are usually offered in Switzerland, the US and Hong Kong. In Switzerland, that emerged the best-paying for expats, the annual income boost totalled $61,000. Expats who moved to Singapore earned an average of $203,000 per year, which is twice the global level. However, when it comes to raising children and making friends, things looked a bit difficult in Singapore, landing it only on the 8th spot overall. Sweden emerged as the top country for family. "A society built on strong foundations which place children, relationships and family at its heart from the day they arrive makes Sweden difficult to beat for family life in 2018," the report added. When it came to lifestyle and experience, New Zealand came on top. "With its breath-taking scenery and inviting outdoor lifestyle, welcoming atmosphere and personal benefits that can last a lifetime, the expats who have moved to New Zealand from every corner of the world are convinced they made a great choice," the survey said. India that was in the top 10 countries overall last year slipped two spots to be ranked 12th. The report mentioned, "Family is clearly central to the expat experience in India, but there's a strong link between moving here and work too." India was placed ahead of countries like Malaysia, UK, US, China and Japan. However, only about a quarter of women advanced their career by relocating to a different country, as against 47% of men. While relocating boosted women's income by 27 per cent, their average salary was $42,000 lesser than men's. A total of 22,318 expats from across the globe took part in the survey.